Sara Wilkinson - Associate Professor in Property and Construction, University of Technology, Sydney. Sara has a combination of professional industry and academic experience spanning more than 30 years. Sara's research focus is building adaptation within the context of sustainability, and represents areas of professional practice prior to becoming an academic. Her PhD examined building adaptation and the relationship to property attributes, whilst her MPhil explored the conceptual understanding of green buildings. Sara is a member of the RICS Oceania Sustainability Working Group. She is the International Federation of Surveyors (FIG) Vice-Chair of Commission 10 "Construction Management & Construction Economics". Sara is also author of eight books/book chapters and was awarded the RICS COBRA Conference Best Paper Award in 2012 for her paper. The increasing importance of environmental attributes in commercial building retrofits. RICS COBRA Las Vegas USA. September 2012. Tim Dixon - Chair in Sustainable Futures in the Built Environment, University of Reading Tim joined the School of Construction Management and Engineering, University of Reading in 2012. He was formerly was Director of OISD and Professor of Real Estate (2005-2012) at Oxford Brookes University. He is former Director of Research at the College of Estate Management, Reading (1998-2005). With more than 25 years' experience of research, education and professional practice in the built environment he is a fellow of the RICS and of the Higher Education Academy; a trained RICS APC assessor; and a former member of SEEDA's South East Excellence Advisory Board. He is also a member of the editorial boards of four leading international real estate journals (Journal of Property Investment and Finance, the Journal of Property Management, the Journal of Building Appraisal and Journal of Sustainable Real Estate); a member of the Advisory Board for Local Economy-; and a member of the review panel of the RICS Research Paper Series. He is a regular contributor to professional journals such as Estates Gazette and he is a regular columnist with Newzeye's 'Property Forecast'. He is also a member of the CORENET Sustainability Working Group and RICS Sustainability Group. In 2009 he was awarded Honorary Fellow status of the Institute of Green Professionals, which seeks to recognise pre-eminent individuals who exemplify academic and/or professional excellence, and serve as examples of scholarship and leadership for the global sustainability community and the public. He was formerly a member of the Oxford Futures Development Group, and carried out a peer review of the Qatar National Plan, funded by Ministry of Qatar (2010). He has recently worked on a range of funded sustainability-based research programmes, including European Investment Bank EIBURS (social sustainability and urban renewal), RICS (sustainability indicators - 'Green Gauge' project), and RICS Education Trust/Kajima Foundation ('A Comparative Study of UK-Japan Brownfields'). He also contributed to the evidence review for the DIUS Foresight Land Use Futures programme. He is currently working on the RICS 'Green Gauge' project and 'Low Carbon UK Cities' projects and EPSRC RETROFIT 2050 project (a major four year funded programme of research). He is also working in the University in a consultancy role with a number of key players in the property sector to operationalise the measurement of social sustainability in property development and regeneration projects, building on the OISD's EIB work, which he developed and led. 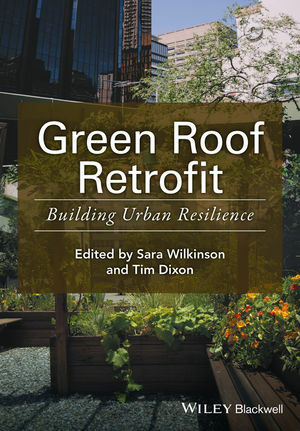 The EIB work led to the book, ‘Urban Regeneration and Social Sustainability’ in which he was principal co-author.